When you attempt to book tickets for that show you've wanted to see for ages, seeing the words Sold Out can be a theatre-goers worst nightmare. Do not fear: Sold Out doesn't always mean you can't get your hands on a ticket. Follow our Top 5 Tips to get you in to a Sold Out show and you'll be wishing you knew this all before! Many West End Theatres offer Day Seats for those willing to queue at the Box Office from 10am on the day of the performance. 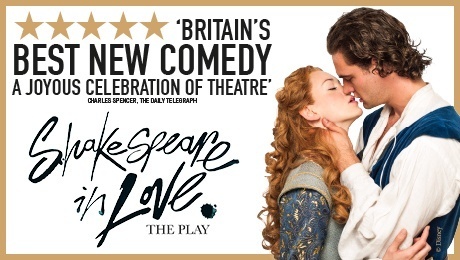 Shakespeare in Love release £15 day seats at the Box Office's discretion. Sunny Afternoon have a limited number of £15 day seats. King Charles III release a small allocation of day seats for £10. Trafalgar Studios are offering a great deal to make theatre more accessible through a new outreach scheme put in place for the second season of Trafalgar Transformed. All tickets are available at £15 on Mondays half of which are available through an outreach programme aimed at targeting schools and first time theatre goers. The other half of the tickets are released to the public on the first day of the month. These tickets can be purchased online or directly from the Box Office (maximum 2 tickets per person). Click here for information on £15 Mondays. The Donmar Warehouse also offer £10 Barclays Front Row Tickets every for each performance of all of their productions. These are released every Monday for performances two weeks later, and can be purchased online or over the phone. Both of our social network sites are always first to announce any extra release tickets and competitions that we have running, so follow us now to keep an eye on last-minute ticket releases! 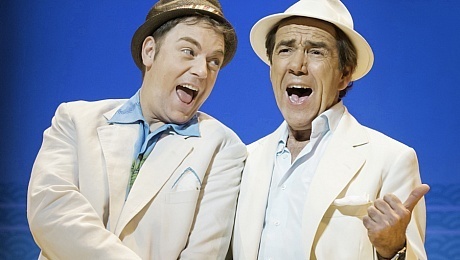 Have a look at Dirty Rotten Scoundrels #TrustMeTuesday competition, where each week you could be in with the chance to win two tickets to the hit show. Similar to this, we also run an ATG Tickets Twitter #LuckyMondays competition: a simple Retweet and Follow and you're in with a chance of tickets to a specified show each week - Good Luck! We recently released extra Richard III tickets with Trafalgar Transformed - keep an eye on their twitter page too! 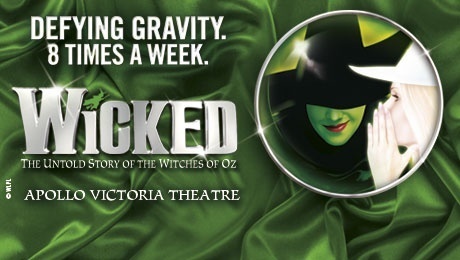 For sold out shows, a number of theatres will put standing tickets on sale for a discounted price. If you can stomach standing for a few hours, then give standing seats a go! 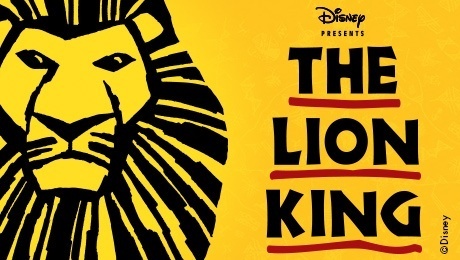 The Lyceum Theatre offers Upper Circle Standing tickets for The Lion King. These are available for £20 once the theatre is full and can be purchased from the box office on the day of the performance. Shakespeare's Globe offers 700 groundling tickets for £5 on all performances. The Royal Court offfers 4 standing tickets for the Theatre Downstairs - on sale an hour before a sold out show - for an absolute steal of 10p each! The National Theatre offers £5 standing tickets in the Olivier and Lyttleton theatres once all other available seats are sold. These are available to book in person or over the phone on the day. Lines form from outside popular shows from around 8am in peak periods - so you have to be persistent. Some customers return their tickets at the very last minute, so you could always try the theatre later on in the day if you're not an early riser! It is worth checking the Leicester Square ticket booths as well as the theatres themselves. 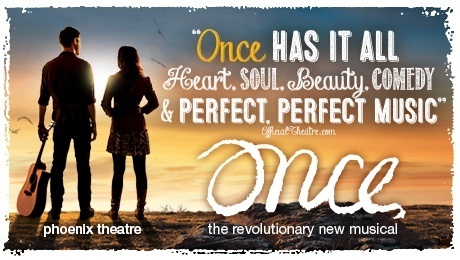 Alternatively, you could give the theatre a call on the day and see if they have any availability. Are we missing any great tips for acquiring tickets to Sold Out shows? to let us know!